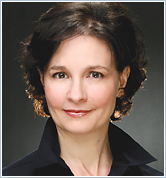 Sonia Choquette, Ph.D is a world-renowned author, storyteller, vibrational healer, and six-sensory spiritual teacher. She’s the author of eight best-selling books, including Diary of a Psychic and Trust Your Vibes, and numerous audio programs and card decks. I first encountered one of Sonia’s audio programs in the late ’90s, and I found her ideas on developing intuition very useful in making decisions, especially when it was impossible to know all the facts up front. She tells some amazing stories of averting serious problems by trusting her vibes (i.e. her gut feelings). Recently Sonia agreed to an exclusive interview on topics from her latest book, Ask Your Guides (see the full review posted last week). 1. How do you rely on spiritual guidance in your daily life? I begin each day with an intention to be open to Guidance, to expect guidance, and to trust guidance when I do receive it. Then I let things unfold naturally. With these intentions in place, each day gets easier and easier to navigate. 2. If I were to announce to my readership that I communicate with spirit guides, goddesses, and angels, their most likely public reaction would be one of ridicule. But at the same time, I’d receive a surge of private emails from people eager to share their spiritual experiences with me. I’ve seen this pattern many times before. Why do you think that is? Why do so many of us experience a disconnect between our private spiritual lives and the public faces we project to the world? The introduction of technology in the western world has led many people to get disconnected from the natural world. We get stuck in our heads and ignore our hearts, which is to our detriment. We fear judgment and ridicule while seeking approval from others which enslaves us to what we cannot control and disconnects us from our authentic nature. Fortunately this is changing as more and more people begin to tune inward for guidance. It’s interesting to note, as an aside, that Niccolo Machiavelli, arguably one of the greatest geniuses of all time, regularly spent time in conversation with great thinkers and do-ers of times past, or in other words talking to his guides. It served him, and it will serve you too. ed: I started writing on these topics earlier this month, and the ridicule portion was actually much less than I anticipated. In fact, I’d say people were far more curious and supportive. So perhaps we’re already becoming more open to such ideas. 3. Why do spirit guides help us? And is there anything we can do to help them in return? Spirit guides serve us because in helping us they serve our great creator. In return our happiness and peace contributes to the happiness and peace of the world. 4. How do you recommend we ask for spiritual help? Is there a right way and a wrong way to ask? A simple “help” with an open heart and clear intention on what you seek help with is adequate. The wrong way is to say “tell me what to do.” Guides guide. They do not take over and run your life, nor want to. 5. Do spirits ever refuse our requests for help? If so, why would they ever turn us down? Spirit guides never refuse sincere requests for help. They love to help us. 6. How do I know if I can trust the advice and information I seem to be getting from my guides? Should I ever disregard their guidance? You can trust guidance if it leaves your heart feeling peaceful, calm, and grounded. High guidance does not flatter, tell you that you are “special” or harm others — EVER. If you feel any promptings that are not gentle, loving, grounded, and hold the highest good for all concerned at heart, ignore it. 7. Where do you draw the line between self-reliance vs. requesting assistance from your guides? Is there any risk of over-relying on spiritual guidance? Again, guides assist in your life. They do not run your life, nor should you ask them to. Like good teachers and coaches they make gentle suggestions but always leave you to make your own choices in the end. 8. To what extent should world leaders trust in spiritual guidance to help them make big decisions that affect the lives of millions? Our leaders should rely on spiritual guidance in every matter. However, the best intuition and guidance is founded on a solid base of objective, accurate information. In making themselves well informed, and in holding the highest good for all concerned over personal ambition, inner guidance will naturally assist their leadership attributes. 9. What can spirit guides do for us that living human mentors can’t? Do spirits give better guidance in certain areas? Spirit guides help us remember that we too are spirit and as such need not fear death. Spirit guides do not work against human mentors. In fact they are often the conduit to our human mentors. Guides work with our human support system. They don’t compete. Spirit guides can give better guidance at times than other sources because their only interest is to assist your soul’s growth and inner peace, while human sources may be biased and have less noble intentions. 10. If a certain animal (such as a swan) repeatedly shows up in your life over the course of a few days, could that be a message from an animal guide? If so, how would you interpret the guide’s message? When an animal repeatedly shows up, it is most definitely an animal guide making contact. You can learn more about specific animal messages from the books by Steven Farmer and Ted Andrews. ed: See Power Animals by Steven Farmer and Animal Speak by Ted Andrews. 11. How can spiritual guidance assist us in our pursuit of personal growth? Consider your spirit guides as a tailored to you personal support team, available to assist you in every area of your life and growth. As you grow, they grow, and the light in the Universe grows. In the end we are all in this together. 12. Is there anything else you’d like StevePavlina.com’s readers to know? I’d like your readers to know they are never alone and deeply loved by God and all God’s helpers at all times. Thank you, Sonia. I really appreciate the work you’re doing! For more information on Sonia’s work with guides, check out the Ask Your Guides Oracle Deck, her Soul Lessons and Soul Purpose Deck, and her book Trust Your Vibes. Or visit her website: www.trustyourvibes.com.